A President's List Graduate is one who completes his/her program of study with a graduation GPA of 4.0. An Honor List Graduate is one who completes his/her program of study with a graduation GPA of 3.5 or higher. JEK Lobby | 10:00 a.m. to 6:00 p.m.
Students will be able to use their financial aid in the bookstore to order their cap/gown during the first two weeks of Spring Semester 2019. Ordering deadline (online and through bookstore) is March 30, 2019. Extras will be available in the bookstore for those who order after the deadline. Orders placed after the deadline will be subject to a late fee. Monday, May 6, 2019 from 10:00 a.m. to 6:00 p.m. JEK Lobby. After this day, cap/gown/tickets can be picked up from the bookstore. Stop by the Registrar's Office to fill out your name card and pick up your honor tassel if you are graduating with a program (graduation) GPA of at least 3.50. Each graduate will be issued 8 tickets for their guests. These will be issued during Cap/Gown Pick up. Tickets are not mailed to graduates. Ogeechee Technical College holds one commencement ceremony per year in the Spring. Rehearsal will be held the same day/location at 3:00 p.m. When all graduation requirements have been met, the student will receive his/her degree, diploma, or certificate in the mail. 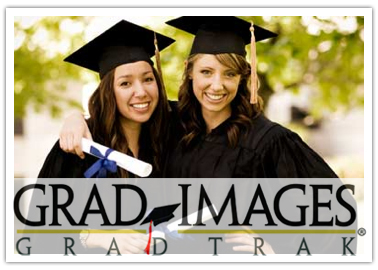 GradImages is your school's official graduation photographer. For questions or concerns please contact GradImages customer service.